Edward of Woodstock, Prince of Wales, (June 15, 1330 - June 8, 1376), popularly known as the Black Prince, was the eldest son of King Edward III of England and Philippa of Hainault, and father to King Richard II of England. 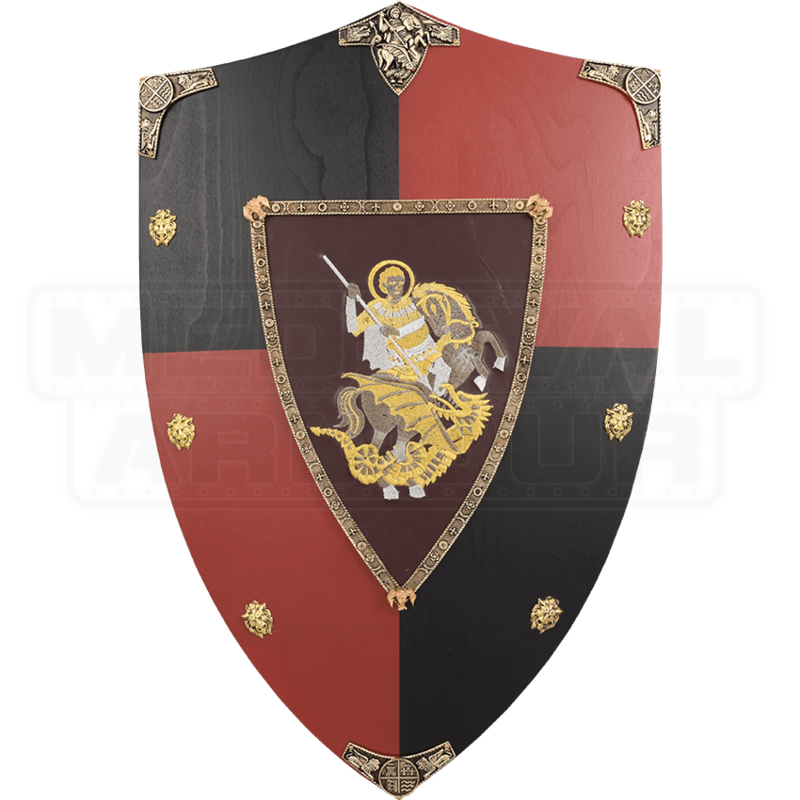 Crafted in Toledo, Spain, the Black Prince Wooden Shield is highly decorative on the front, making this piece great for home decor. 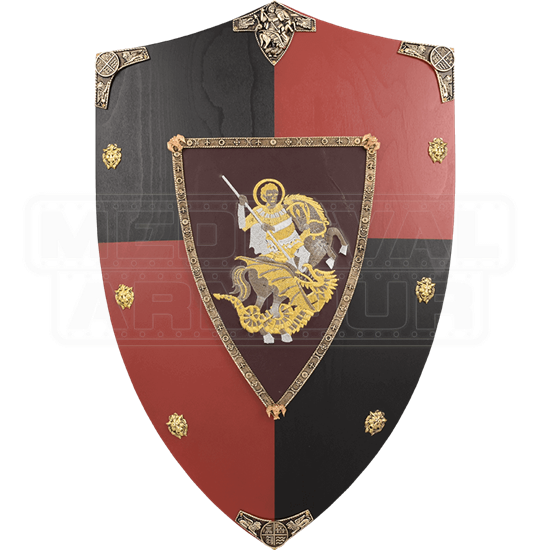 The Black Prince Wooden Shield is great for theatrical productions and medieval reenactments.